Years of hard work have finally paid off for many students this time of year – graduation has arrived! What will you get as a gift for your favorite graduate? We’ve complied a list of 10 gift ideas that are all $30 and less. 1) The 5 Book. This is an excellent interactive playbook that inspires your grad to think about where they will be 5 years from today. 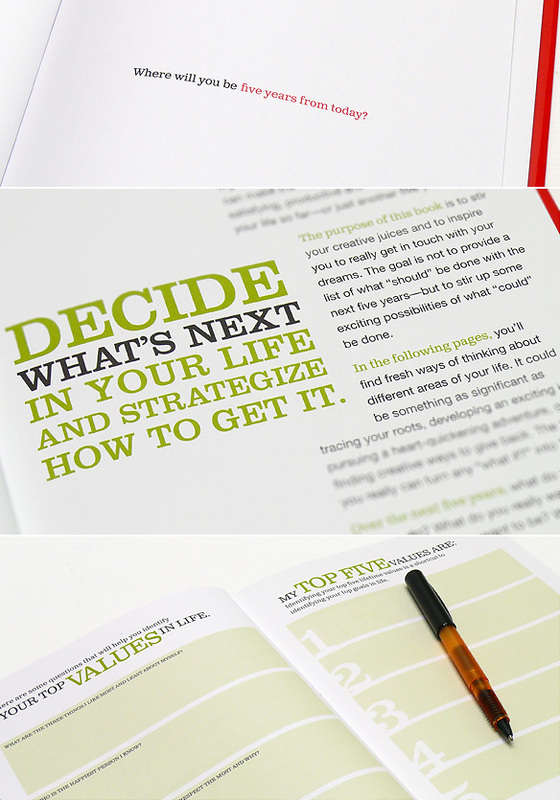 The 5 Book asks thoughtful questions about plans, dreams, and priorities and to help them map out the best years of their life– the next 5. 2) Academic Planner. Keeping on top of a hectic college schedule can be quite a challenge! 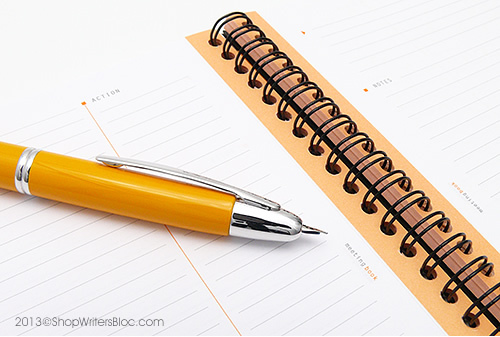 An academic planner comes to the rescue with a calendar that begins with the start of the school year. For a detailed weekly plan, we’d recommend the Quo Vadis Minister. For something pocket-size try the Quo Vadis University Planner. 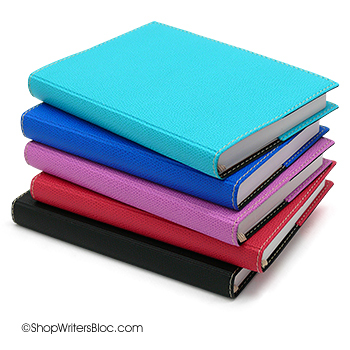 You can find these and other planners in our Academic Planners section (back in stock soon!). 3) LAMY Safari Fountain Pen. 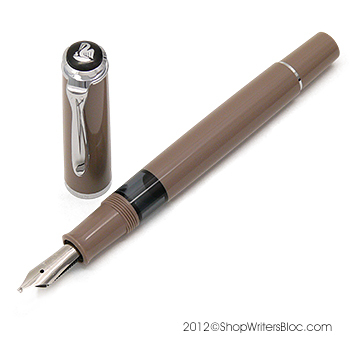 The Safari fountain pen is popular in countries all over the world. It’s easy to use, durable and fun! This pen is a great way to introduce your student to the world of fountain pens, or if your grad is already a fan of writing instruments, the Safari will become a treasured part of their collection. 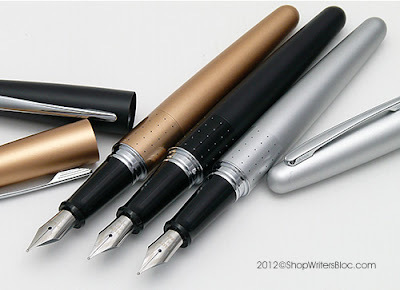 It comes in several colors and nib sizes to suit just about any writer. 4) Meeting Book. Whether or not your grad is headed to college or the office, the Cornell notes format of a meeting book makes it a valuable tool. The layout is designed for organized and efficient note taking during meetings or school classes. Both Rhodia and Moleskine make excellent meeting notebooks. 5) Pen Case. Whether it’s just one precious writing instrument that needs a little protection or a plethora of writing instruments that need to be corralled, there’s a pen case out there that’s just right for your graduate. 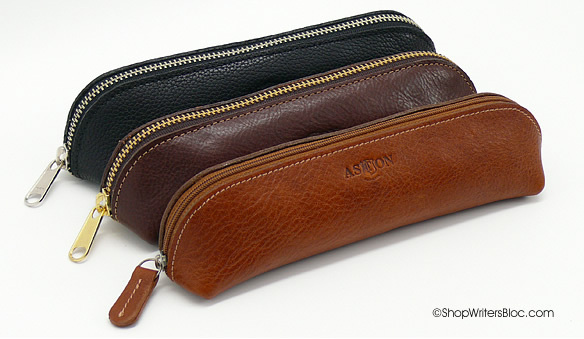 The Aston Leather Single Pen Slip Case is an economical option for an individual pen, their rugged Pencil Pouch holds about a dozen pens and pencils. 6) Book Darts. These paper-thin metal line-markers are the perfect tool to mark things worth rereading, to note key points as you read them and to help you go back to ideas worth studying. 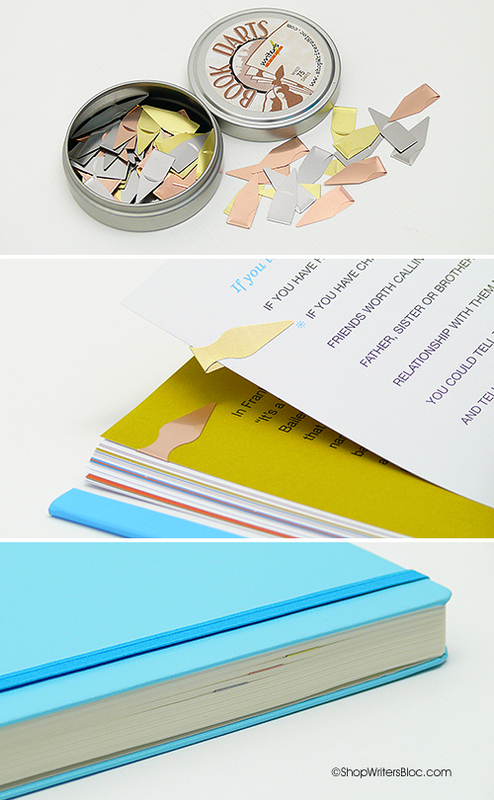 Book Darts can be reused over and over again for a lifetime! 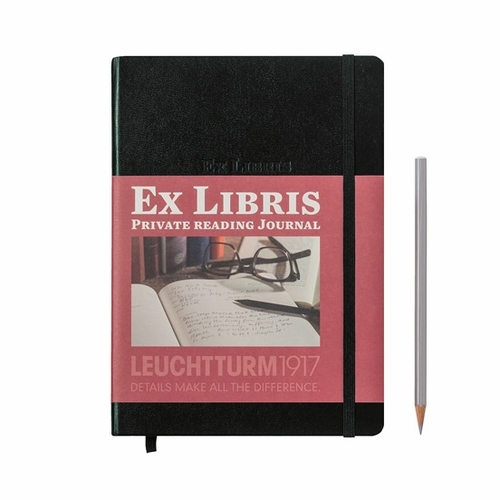 7) Leuchtturm 1917 Ex Libris Private Reading Journal. Is your grad a book worm? 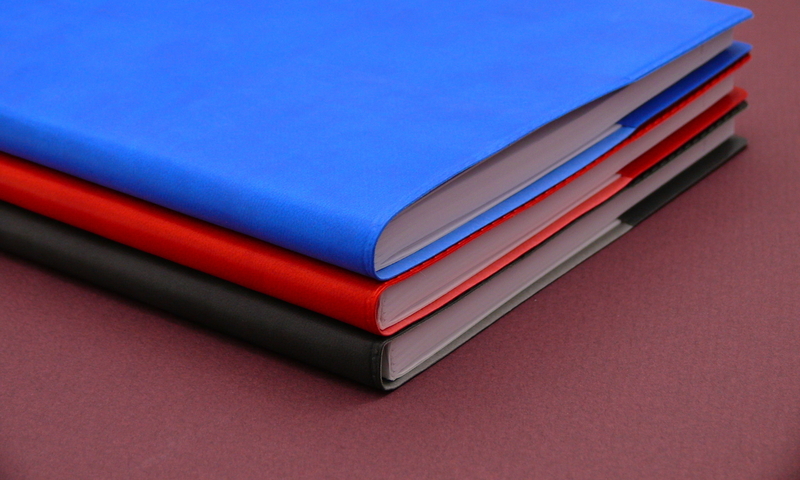 This bound Private Reading Journal is a classy way to create written memories of novels and other books they’ve read. 8) Platinum Preppy Highlighters – Set of 5. Studying at college can mean some of your new best friends are highlighters. Preppy Highlighters are refillable with Platinum highlighting ink cartridges so these pens can outlast many other kinds of highlighters. 9) STAEDTLER triplus fineliners – Set of 20 in a Wrap Case. 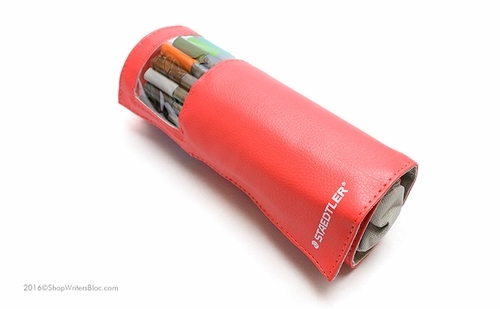 This fun roll-up case is filled with a bunch of colorful superfine felt tip pens. The case is available in either Black or Pink. A great gift for creative students! 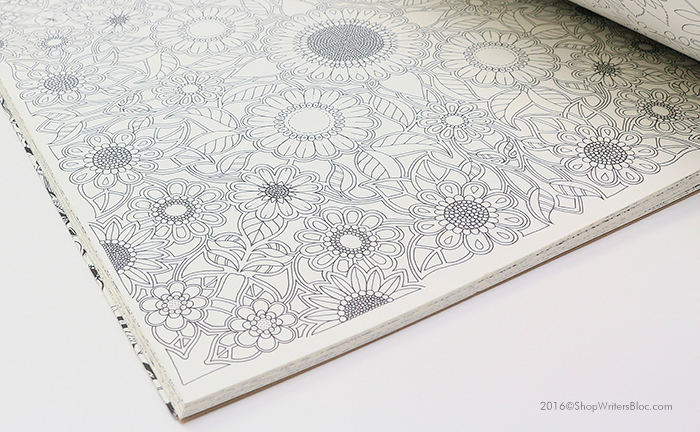 10) Coloring Book for Grown-Ups. College and work life both have their daily stresses. Doodling in a coloring book for grown-ups is a great way to unwind at the end of a hectic day. Clairefontaine has bird, flower or nature themed coloring books, or try the Secret Garden Inky Treasure Hunt and Coloring Book that’s inspired by the plants and wildlife found in rural Scotland. What will you buy for your new graduate this year? Today’s blog post will teach you how to make your own long-lasting highlighter pen that can be refilled with ink and reused many many times. We will talk about two ways to do this, both methods using pen parts from Platinum Pens. You may wonder why we are doing this since the Platinum Preppy highlighter pen is designed to be refilled and reused and the felt tip can even be replaced when it wears out. Preppy pens are very economical, but they are not meant to last a life time. Sooner or later, the cap and/or the body of the pen will crack making the pen useful only for parts. In contrast, both the cap and the body of the Platinum Plaisir fountain pen are made of durable anodized aluminum that will not crack. As a bonus, the Plasir has an attractive pearlized finish that comes in seven different colors. (1) The first pen mod is the easiest, most foolproof way to create your highlighter. You will need both a Platinum Preppy highlighter pen and a Platinum Plaisir fountain pen. Take both of the pens apart by removing the caps and unscrewing the grip section from the pen barrel. Take the grip section of the Preppy highlighter, screw it into the barrel of the Plaisir fountain pen, add your ink cartridge and you’re done! (2) For the second pen mod you will need a Platinum Plaisir fountain pen, a Preppy highlighter replacement tip and something rubbery and soft that gives you a good grip. Preppy replacement tips can be purchased separately in a package of 2 tips. For this demo I used a wide rubber band to give me a good grip, but other things can be used such as that rubbery drawer liner stuff etc. First remove the pen cap. Using the wide rubber band or rubber drawer liner, get a good grip on the base of the fountain pen nib and carefully pull it out of the grip section along with the skinny plastic piece that it is attached to. A couple of notes about this: the amount of effort it takes to remove the nib seems to vary from pen to pen, and be warned that this may or may not remove some of the color coating that is on top of the Plaisir fountain pen nib. Firmly insert the highlighter replacement tip into the Plaisir grip section, add your ink cartridge and you’re good to go. Voila! A good looking, durable and refillable highlighter pen. 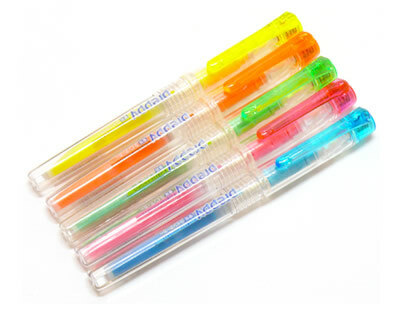 The felt tip can be easily replaced if it wears out using Preppy highlighter replacement tips. What kind of ink should you use to refill this pen? Highlighting ink that is designed for use in fountain pens would be an excellent choice. A very light color of fountain pen ink would work as well. What kind of ink refills does it take? You can use the Platinum brand of ink cartridges or you can use a Platinum ink converter if you would like to use bottled ink. Another idea is to rinse out your empty Platinum ink cartridges and use a blunt-tip needle bottle to refill them using bottled ink. This pen is not suitable to be eyedropper filled since the barrel of the pen is metal and may cause a negative reaction when it is in constant contact with ink. What kind of refillable highlighters do you use? Do you have any highlighter pen mods you’d like to share with us? The Platinum Plaisir fountain pen makes a frequent appearance in my rotation of daily writing instruments. Since it uses the exact same cartridge/converter filling system, feed section and nib as the Platinum Preppy fountain pen it gets a lot of comparison to the popular Preppy. So why spend the extra money on the Plaisir? Perhaps some of the following observations will help you make your own choice. 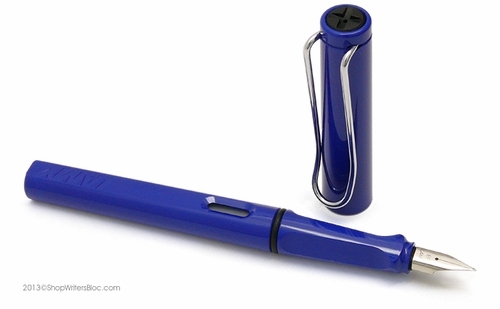 First of all, the body and cap of the Plaisir fountain pen are make of a light-weight yet durable anodized aluminum that lasts much longer than the recycled polycarbonate cap and body of the Preppy. The plastic Preppy pen is a great beginner fountain pen with a bargain price of less than $5.00, but it is not meant to be a forever pen. Once in a while I’ll give a Preppy to one my friends who has never tried using a fountain pen. When I ask them later how they like using it, sometimes I find that they have cracked the cap or the barrel and are no longer using the pen. If they genuinely like the experience of using a fountain pen, often I’ll give them an “upgrade” to a Plaisir and have received many positive comments on their new Plaisir pen. 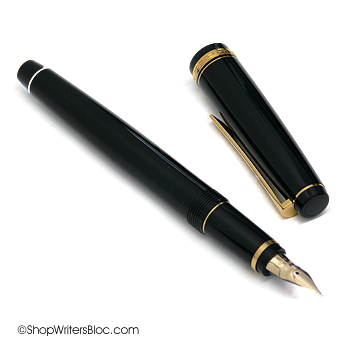 I find the scratch-resistant pearlized finish on the Plaisir fountain pen very attractive. It’s very smooth and I like the way it feels in my hand. Since there are seven color choices, there is a color to suit almost everyone. One of my personal favorites is the bright sports car red, or others might call it a bright lipstick red. The pearlized colors range from a conservative black to a delicate and feminine pink. 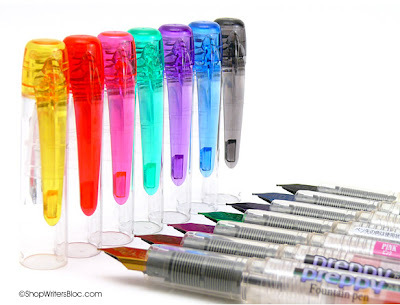 The Preppy pen has a clear body and cap with a clear but colorful clip and top on the cap. Both fountain pens have nib colors that match the pen color. 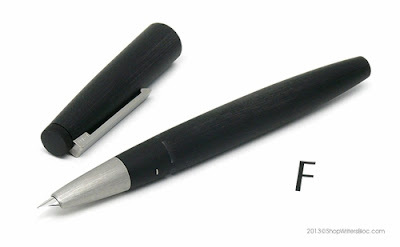 The steel nib and feed section are interchangeable between pens and the nib performance is generally the same. The cap of the Plaisir has a special design that allows you to let your fountain pen sit for a long period of time without any use, then to uncap it and begin to write smoothly without any hesitation. This cap also reduces ink loss due to evaporation. I find that the cap on the Preppy works fairly well at keeping my ink from drying out, but eventually it cracks allowing the pen to dry out. To make the cap on my Preppy pens last longer I usually put a piece of clear tape around the bottom of the cap when it is brand new. Once the cap cracks, the tape will not help. One advantage of the Preppy pen is that it can easily be converted into an eye dropper fill pen with some silicone grease and an optional rubber o-ring. The polycarbonate barrel of the Preppy does not react with ink (although it is possible that it could be stained by some inks) and it does not have any holes in it which makes it work well as an eye dropper fill. The metal barrel of the Plaisir may chemically react with ink so it is not suitable to be converted into an eye dropper fill pen. Both the Plaisir and the Preppy have a cartridge/converter filling system which is typical for fountain pens in this price range. These pens must be filled with Platinum ink cartridges since universal/standard ink cartridges will not fit. It makes a lot more sense to use the converter with the Plaisir since the converter costs more than double the price of the Preppy pen. If you don’t want to spend the money on the converter or you don’t want to be limited to using Platinum ink, you can always refill empty cartridges yourself using bottled ink and something like a blunt-tip needle bottle. So which pen will you choose? 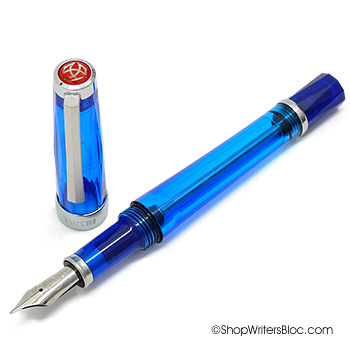 What are your thoughts on Plaisir vs Preppy fountain pens? Clearly, Demonstrator Fountain Pens are Cool! Modern demonstrator fountain pens are clear, or partially clear writing instruments that allow you to see the inner workings of the pen. Originally, the purpose of these pens was for pen manufacturers or pen sellers to show-off the desirable mechanisms of the pen that were not normally visible from the outside. They were not meant to be sold to the public. Some old demonstrator pens were non-functioning and even had holes cut into the barrel. Eventually, clear plastics came to be used to create very limited numbers of these pens and they became sought after by collectors. Their popularity grew, and now they are commonly used by many as daily writing instruments. 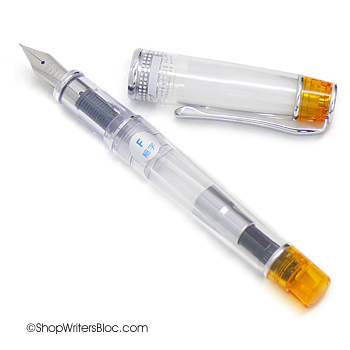 There are many reasons writers are attracted to demonstrator fountain pens. It’s easy to monitor the level of your ink so you’ll know when you need to refill. If you like to use bright, colorful inks a demonstrator pen with a clear, colorless barrel really shows off your ink color. Mechanically minded engineer types like to see how all of the parts that make up the fountain pen function and it’s easier to diagnose pen problems and repair them. Others say that the transparency of these pens reminds them of a crystal. 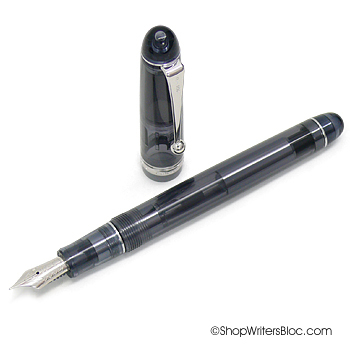 Some demonstrator fountain pens are very luxurious and are only produced as limited editions. One example is the Aurora Optima demonstrator fountain pen that is available as a limited edition of only 1936 pens, corresponding to the year in which the Optima was first introduced. Because this Optima is a clear demonstrator pen, if you look closely you might be able to spot Aurora’s hidden ink reservoir system that allows an extra page of writing when your normal ink supply runs out. If you like the handsome appearance of the Aurora Optima demonstrator but you aren’t able to splurge on such a pen, an attractive and more affordable alternative is the Pilot Prera demonstrator fountain pen. It also has a clear, colorless body with a colorful contrasting trim on the end of both the cap and the barrel. 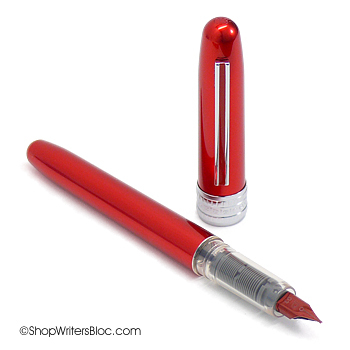 In addition to red, you can get the Prera with a variety of trim colors, and the Japanese stainless steel fine nib is great especially if you like to write with a very fine line. 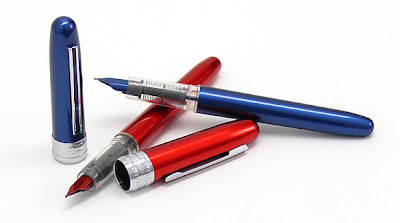 Since demonstrator fountain pens are clear, when they have a cartridge or converter filling system, the appearance of the converter matters. When we use the LAMY Vista, which is the demonstrator version of the popular Safari fountain pen, we like to think of the red top of its converter as the “heart” inside the pen. Platinum Pens thoughtfully designed the converter inside this President demonstrator fountain pen to match the color of the gold-plated trim. 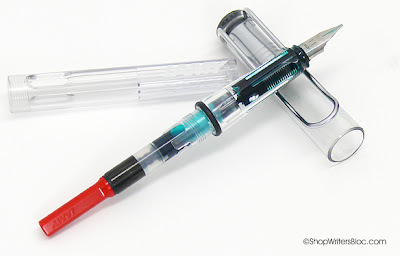 In addition to clear, colorless barrels, many demonstrator fountain pens are made with clear, colorful barrels and caps. 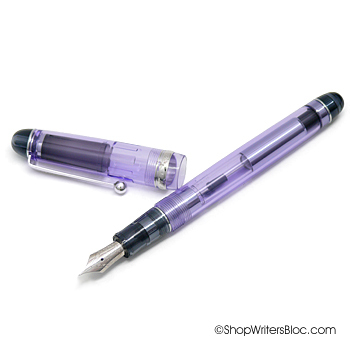 I really like the pale violet color of this Pilot Custom 74 demonstrator fountain pen. 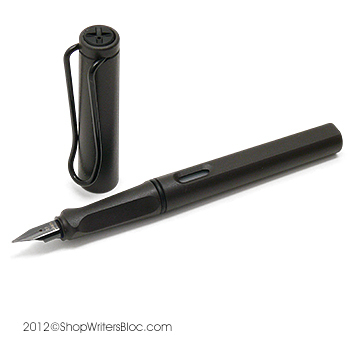 It has an easy-to-use piston converter that fills with ink using just a few clicks of a button. 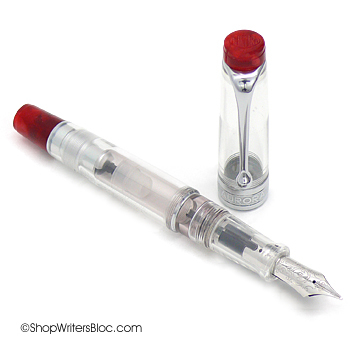 The fact that the TWSBI Vac 700 is transparent allows you to see its cool vintage-style vac filling system in action! I love both the amber orange and sapphire blue versions of this demonstrator pen and it also comes in a mysterious smoke black. Demonstrator fountain pens don’t have to be expensive. 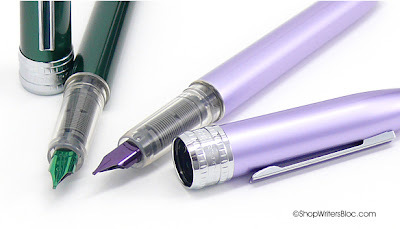 At the time of writing this post, the Platinum Preppy fountain pen allows you to give one a try for only $3.00! Other demonstrator pens that can currently be purchased for $25.00 or less include the Kaweco Sport Ice, Kaweco Sport Classic, Noodler’s Ink Ahab flex-nib pen and the Pilot Plumix student calligraphy pen. We’ve only mentioned just a handful of the large variety of demonstrator fountain pens that are available today. 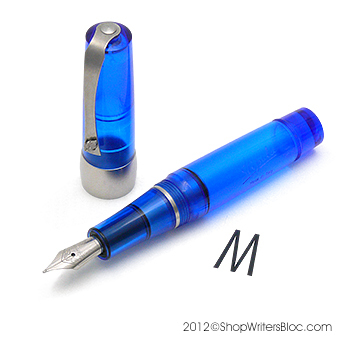 What’s your favorite demonstrator fountain pen and why do you like to use it? Share your favorites with us!